As co-founder of Executive Counsel, David brings diverse and extensive expertise in the areas of legal, business and political government relations to the organization. David acts as General Counsel and Secretary for many companies, including: Republican Technology Council, a non-profit organization helping bring together policymakers and technology executives on issues that impact the technology industry and society as a whole and Sands Research, Inc, a neuromarketing company that delivers Neuromedia services that empower advertisers. 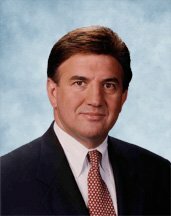 David served as General Counsel for Vastera, Inc., an international software, information technology, outsourcing and services company in global trade management. Under David’s tenure, Vastera initiated two series of financing rounds, raising over $35 Million. In September 2000, Vastera registered on the NASDAQ exchange with an initial public offering raising $96 Million, while expanding its operations in 14 foreign countries and acquiring 5 domestic and international trade management companies. Prior to Vastera, David worked in a senior executive legal role for Anteon International Corporation, a $500 million dollar annual revenue international information technology and services company for federal, state, local and foreign governments. At Anteon, David was responsible for the global expansion of operations in the Pacific Rim and European markets. Other responsibilities included day-to-day legal issues in connection with federal contracting procurement processes. Prior to joining Anteon, David was Senior Counsel for Software AG of North America, Inc. an international software and services company with worldwide operations. His responsibilities included Corporate Governance, Intellectual Property, and Transactional matters. In addition, David assisted in Software AG of North America’s IPO on the New York Stock Exchange in November 1997. David has been a speaker or panelist in a number of venues on topics including Corporate Transactions, Employment Relations, Intellectual Property and International Expansion.